Luster -- Luster --- Luster! Plus Bo has locks density and is a macho boy. A Black Mac son is rare enough -- but when you add that he is half Accoyo and Black -- that makes him even more rare. You know the quality of his Sire, but Mac is only half of this equation. Bo's Dam, Felicity, is also a show stopping girl and has won at both AOBA Nationals and AAA Futurity. Bit-O-Honey is a beautiful fawn 5th generation documented suri. She has nice fleece with good coverage and density, good conformation and bone together with a very desirable, feminine head. 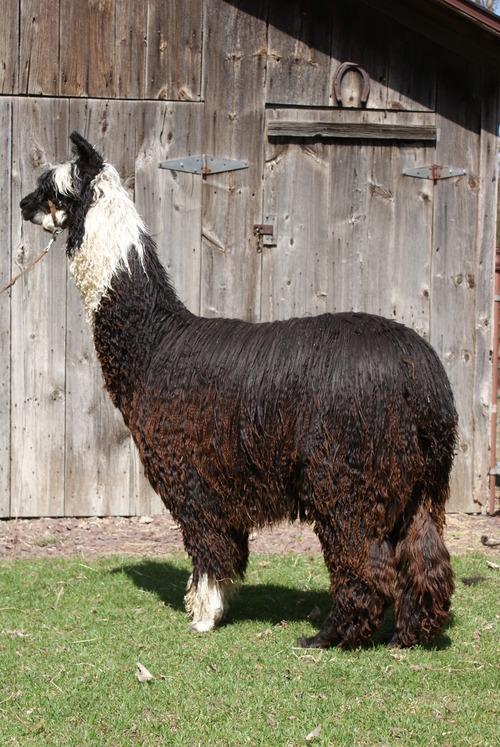 Honey’s sire is Suri Peak’s Coal Man, (Ranked in the Top 20 Herdsires for 2008) a jet-BLACK, full Peruvian with superb blood lines: his sire, Great Balls of Fire, has been highly promoted for his ability to produce colored offspring with fleece qualities usually found only in white animals. 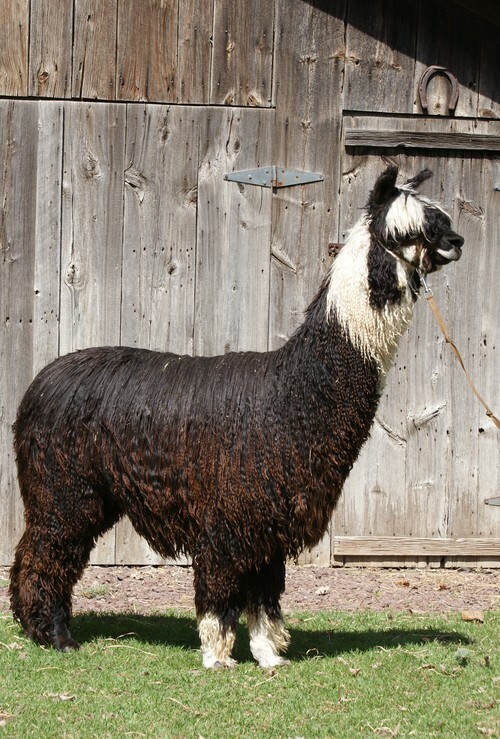 His dam, Kika, is a beautiful blue ribbon BLACK full Peruvian Female. Coal Man has exceptional luster for a BLACK alpaca, uniform tight locking that goes right to the skin, great density and coverage, flawless conformation and a perfect bite. 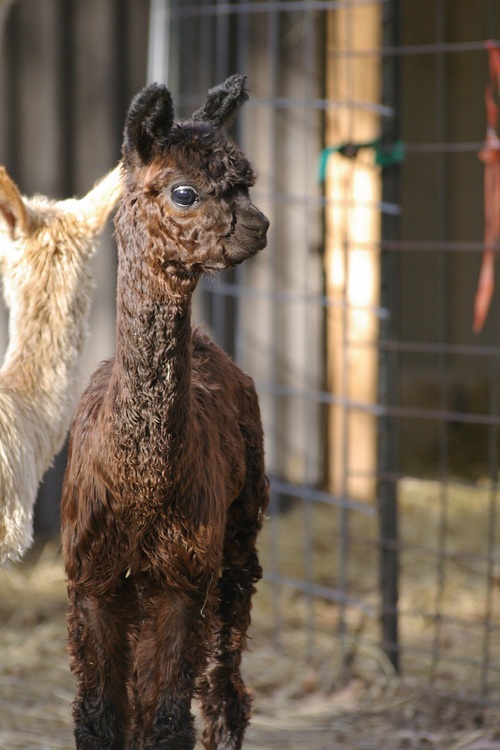 Coal Man crias continue to do very well in the show ring. Honey’s dam, Rykah's Hoot-n-Annie (Pardner granddaughter), exhibits everything a suri breeder could ask for. Excellent conformation, extreme luster, lots of tiny pencil locks, and proven genetics. Her grandsire, Inca’s Beau Hoot (Condor grandson), is a very solid male who resembles his dad, 4Peruvian Inca Hoots. 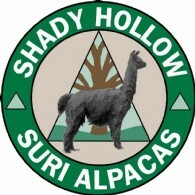 Bit-o-Honey sells with a FREE BREEDING to any unrelated Shady Hollow herdsire of your choice. 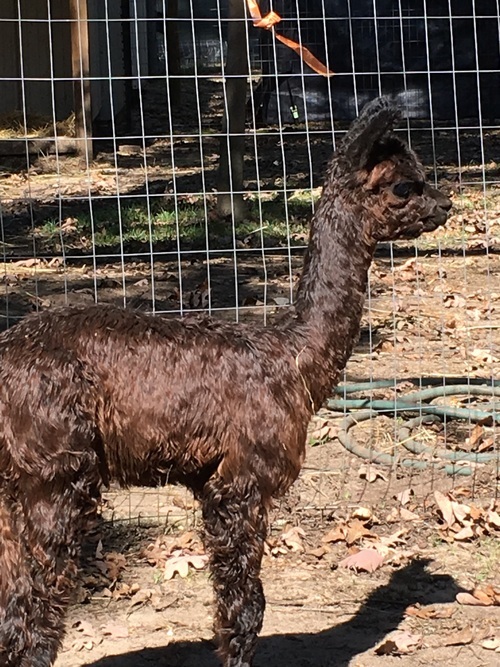 Whether you're just 'snoopin' around or specifically looking for that special true black herdsire to compliment your breeding program, we think you'll be glad you stopped to check-out this classy male. Nighthawk has greasy independent locks with a high degree of luster and fineness, a great wedge-type suri head with a perfect beard and good coverage down his legs. This guy is very eye-catching with his white tuxedo neck and handsomely cute face. 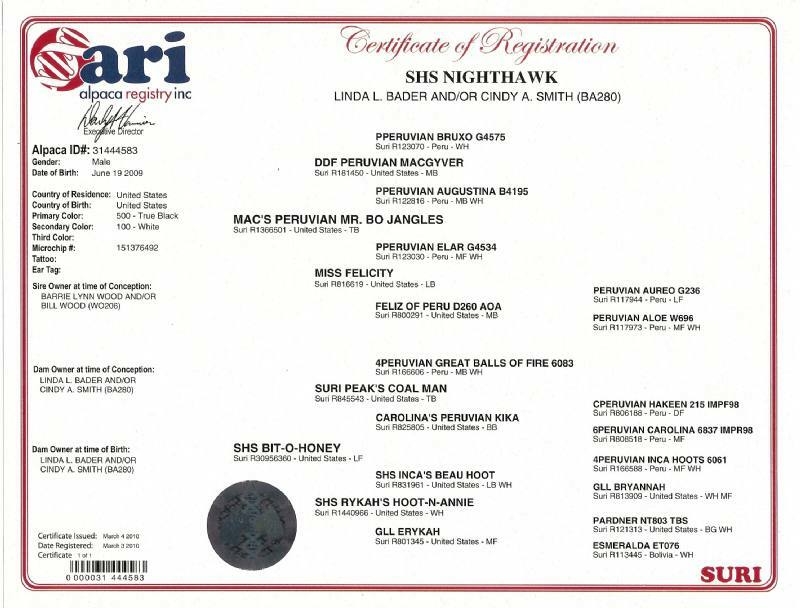 His dam is a beautiful Suri Peak's Coal Man daughter, SHS Bit-O-Honey, and his sire is a true black DDF Peruvian Macgyver son, Mac's Peruvian Mr. Bo Jangles.